If this sounds too good to be true, get on Google and check out the long list of success stories involving homeowners who have resurfaced their outdoor decks with great results. But deck resurfacing is not always possible — and any outdoor deck builder who tells you otherwise is not giving you reliable information. There are circumstances under which a resurfacing project is possible and recommended, and there are circumstances under which it is not. Here’s how the average homeowner can determine whether deck resurfacing is a possibility. A careful visual inspection of the underside of your deck will reveal whether there are any obvious structural faults. Resurfacing is only a viable open when the framing of the deck is in good condition. 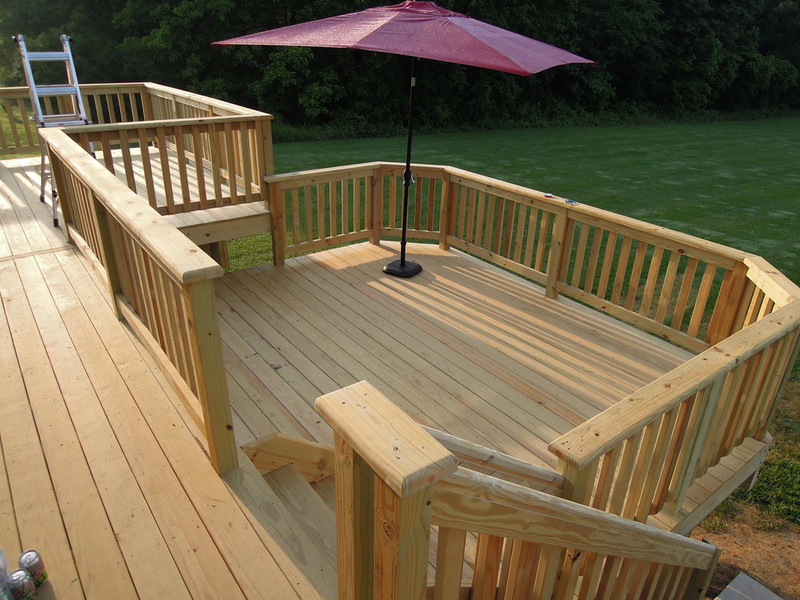 If you notice rotting or warped wood, or section of the frame that seem to be missing, it’s a fair bet that your deck is not suitable for resurfacing. A closer look will reveal any loose or missing connections between the various pieces and joints making up the frame. If a deck is resurfaced when there are faulty connections, safety and structural issues will almost certainly arise. Reputable deck resurfacing professionals will only resurface decks when they’re certain it’s safe and productive to do so. It’s certainly possible to inspect your own deck and get a feel for whether or not you think resurfacing is possible. But when it comes down to making a clear “yes or no” determination, the opinion of a deck resurfacing expert is indispensible. Professionals are able to make a comprehensive and accurate determination about the structural stability and long-term viability of your existing deck frame. They’ll also be able to tell you whether resurfacing represents a better investment than tearing down the old frame and starting fresh with a brand new deck. So now you know a bit more about deck resurfacing, and the real life circumstances under which it might be possible. What’s the next step? There are any number of deck builders out there who might be willing to resurface your deck — but even an experienced deck builder may not have the best technique for resurfacing. Look for a contractor who is specifically experienced in (and knowledgeable about) deck resurfacing. You’re likely to come away with better advice and better results.